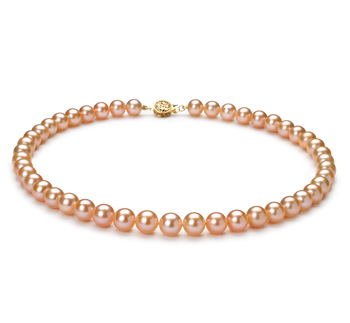 Delicate and sensual, the Cerella Pink’s offer a dangling but subtle feature to your wardrobe. 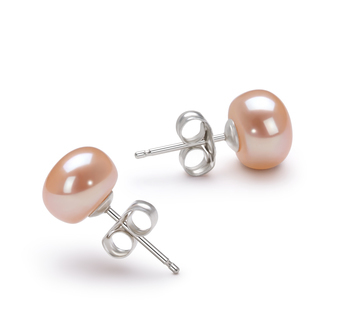 Easily transformed from casual to formal, the 6-7mm sized Pink Freshwater Pearls are the perfect size for all ages but they do bring the youthful and fun look back to the days when feminine beauty was a graceful quality. 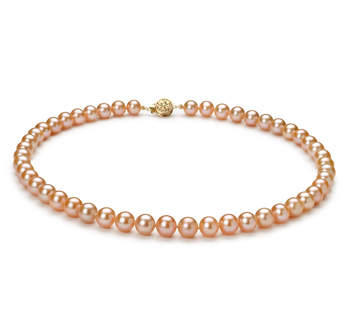 The (A) out of round shape of the Japanese Akoya Pink Pearls have that unique look and texture that enhances the (AA) mirror like lustre. The addition of a silver bead between the two pearls adds a bit of character and length to the pearls. 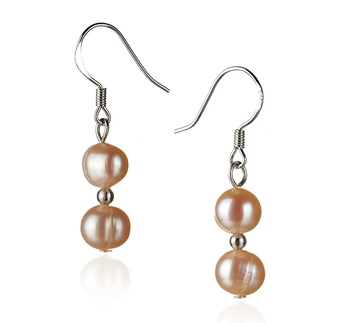 Using the French .925 Sterling Silver hooks allows the Japanese Akoya Pink Pearls drop to beginning at the bottom of the ear for a more significant looking length. This set is a fantastic look for the casual and formal line of fashion wear. 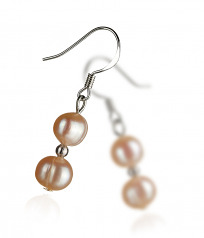 Show only for "Cerella Earring Set"